Following the context help to add menu categories - tick the box [eg games], no instruction given except tick the box. On closing NOTHING HAPPENS! What am I doing wrong? Before your new category can become operative, you must populate it - add or copy a launcher of some sort. Good luck xaire. do I run WINE in Mate? On my side, I just get no 'edit' entry in that context menu, so I just cannot modify anything! Another way to edit the Applications menu is to open System -> Preferences -> Look and Feel -> Main Menu. This allows you to use the mozo gui to add or change items in Applications. HTH Herve5. And basically, I cannot right-click in one of them to edit categories etc. Just an hour ago, I installed Dukto, to quickly exchange files with the old macintosh : the installer invented for it a new category, named “others”, which I just cannot rename, move or change in any way. Then try System -> Control Center -> Main Menu. Try entering “mozo” in the terminal first. 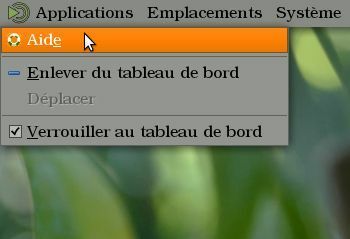 which means “mozo” is not installed but you can install it by typing…"
I thought that mozo was included in all installations of Ubuntu MATE. Sorry for misleading you. You definitely didn’t mislead me! You helped me finding it -and now I installed it and everything works fine! How to install and configure Wine? loaded - so it says -even welcome/program/games does not offer a launcher.